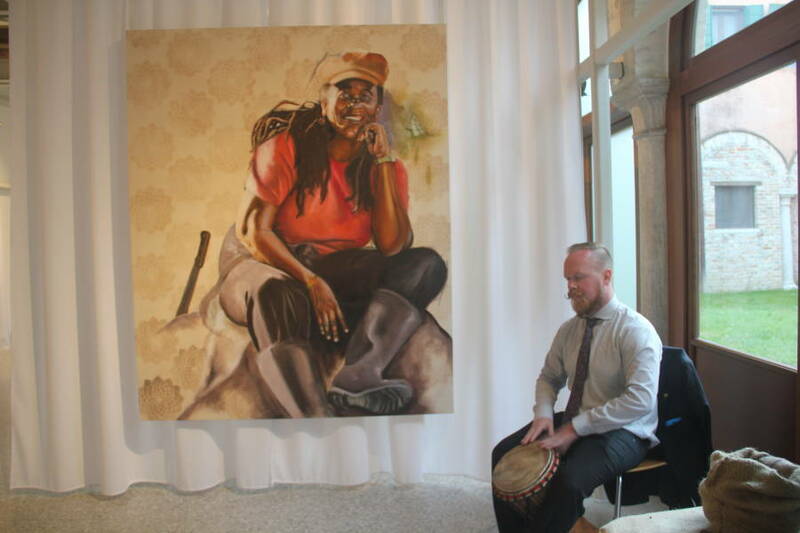 In the serene surroundings of the Don Orion Artiginelli in Dorsoduro Venice, a glow of Caribbean warmth flooded the Grenada National Pavilion at its first presentation at the 56th Biennale di Venezia. Presented simply and elegantly, the paintings, glass sculpture, video and installation of the Grenadian artists complemented the paintings, sculpture and photography of the invited Italian artists. The theme of the pavilion “Present Nearness” was evident in the flow, and even though the artists were working far apart from one another, presented a coherent message of hope for this disordered world. A keenly interested international art crowd came to support; friends of the artists, family, and sponsors all happily interacted with the works. The banner at the entrance of the exhibition showed a map of the Caribbean, locating Grenada with its flag. Many had heard of Grenada before but had no idea where in the world it was located. Chocolate samples from Diamond Chocolate Factory in Victoria and The Grenada Chocolate Company set the tone, and were very much appreciated by the discerning guests. Asher Mains drummed some local rhythms on a djembe and compelled European toes to tap. One of the most compelling endorsements of the pavilion came from a mature Italian professor of art, someone who has written more than 400 books about art, and is a renown curator and director. He commented that in many of the pavilions of the biennale he saw despair and death, but in the Grenada pavilion he saw life and hope. A live feed was streamed online so that people could look in from the virtual world. The link is available on the website, grenadavenice.org, thanks to the work of Frederika Adams on the ground in Venice, and Daniela Froehlich making the connections in Grenada. Ever faithful Grenada art supporter Milton Williams flew in to Venice to assist in the set up and presentation. 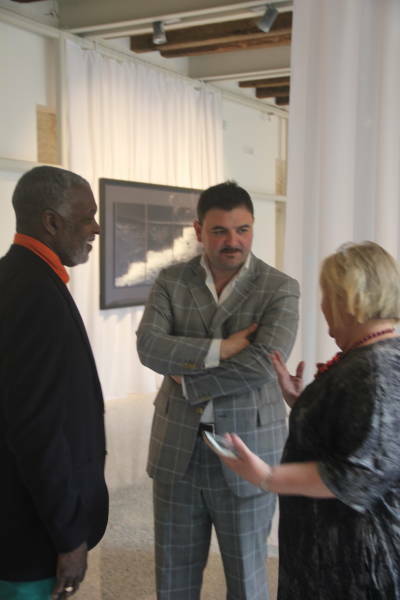 Artists representing Grenada are Oliver Benoit, Asher Mains, Maria Mclafferty. Susan Mains is the curator. A more comprehensive report will be forthcoming. The exhibition will remain open for the next 7 months.